When I go to the Olentangy, I'm usually there to photograph dragonflies. So I'm typically not set up or ready to photograph a giant flying bird. 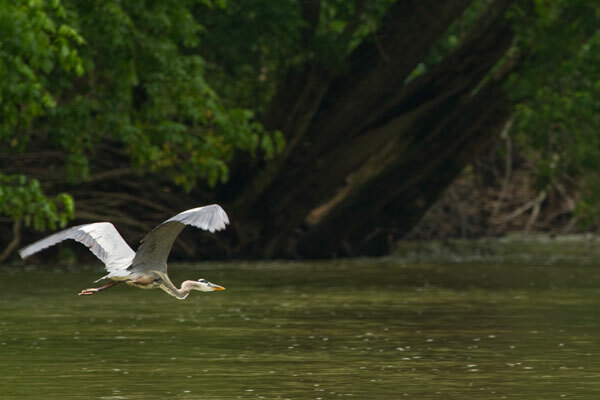 This past weekend I got lucky however, and managed a decent shot of a Heron as it flew up river towards Worthington. Have a great weekend! And since it's Saturday morning, I'll think I'll include this post in the Camera Critters meme- it's been a long time since I've participated! Great capture of the Heron in flight! PS: I sold the lens and the extender on Amazon.com. Now I am shopping for either a new camera or a new lens. I am also looking at the New Nikon 5100. Abe- Is that money burning a hole in your pocket?? :) I love my Canon 7d! 8 frames per second is pretty awesome when it comes to fast moving birds! Wow - what a wonderful soaring shot! Beautiful blue heron! Such lovely birds. Camera Critters at my page. Have a great weekend! Thank you Chubskulit, Jidhu Jose, and Hootin' Anni! Perfect picturisation. Seems the nature has built its way towards you. Such a beautiful shot! Beautiful blue heron!